Most states except for Texas, California, Arizona, Idaho, Louisiana, New Mexico, Nevada, Wisconsin, and Washington are equitable distribution states. When most people hear this, they assume that marital property is divided 50/50. That is not the case. Actually, it is in community property states that marital assets are divided 50/50. In equitable distribution states, marital assets are divided in accordance with the contribution each party made to the marriage. This type of property distribution set up, in part, ensures that stay at home parents or stay at home spouses receive their fair share of the marital property, even if “their” money did not pay for it. It also protects a party in the event their spouse dissipates or wastes marital monies. If you are worried about what type of settlement you will see in your Florida divorce, reach out to the Boca Raton property division lawyers at the Law Offices of David L. Hirschberg, P.A. Our attorneys can help you understand your rights and negotiate a settlement that is both fair and satisfactory. 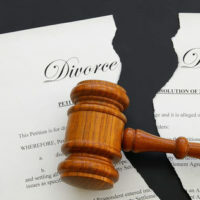 Either spouse’s destruction of marital assets within two years of filing for divorce. Income earned was from a separate property. Once a judge has considered the above factors, he or she will determine what percentage of property each spouse is entitled to. In many instances, a judge will decide that 50/50 distribution is fair. In other cases, however, a Judge may award one spouse a greater portion of the marital estate after valuing certain assets. While a judge will strive for a fair outcome no matter what, it does not hurt to work with an experienced Boca Raton property division attorney. The lawyers at Law Offices of David L. Hirschberg, P.A. can help negotiate with the other party’s attorney on your behalf and ensure that both you and your spouse walk away from the union more than happy with the final settlement. Call our office today to schedule an appointment.